Very near the Soudan Underground State Park administered by the Minnesota Department of Natural Resources is what some people call 'the most photographed outcrop in the state.' 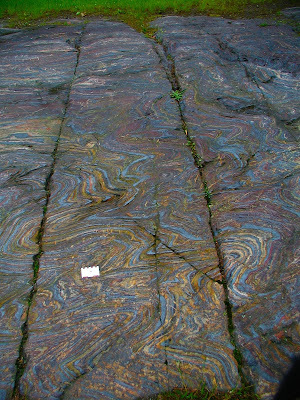 This is a pavement outcrop of folded banded iron formation. 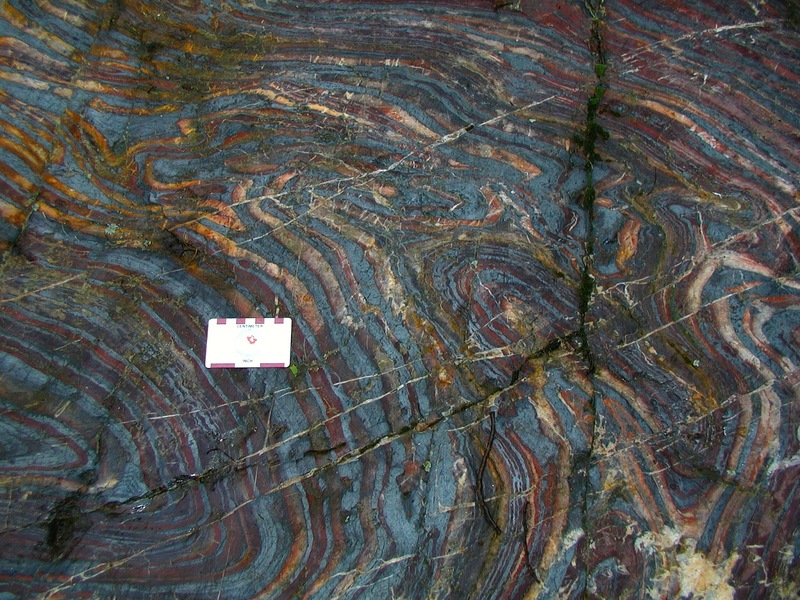 The outcrop consists of metallic hematite, red jasper and white chert. These originally horizontal layers have been folded multiple times. 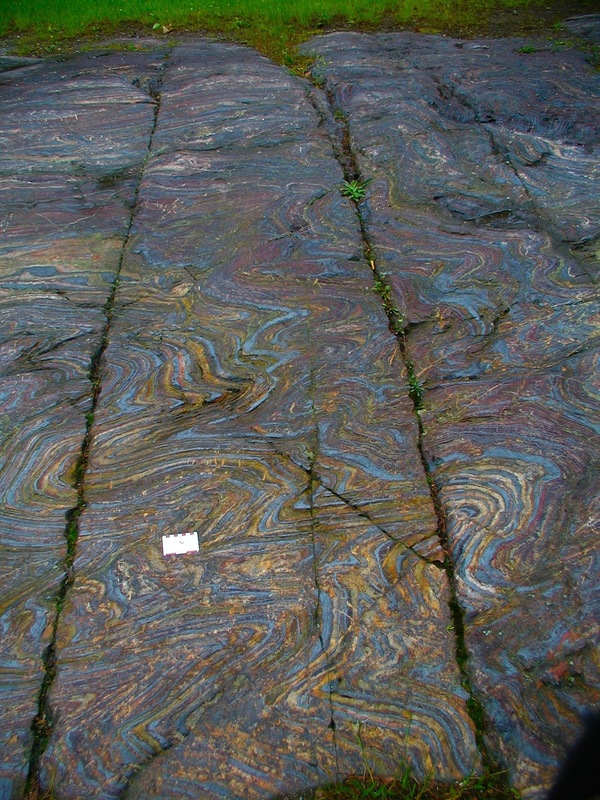 In some areas, the jasper and chert have fractures filled with milky quartz. The picture above gives a larger sense of scale for the site.